You can probably tell from these snow-less images that I took these outfit pictures a few days ago, when it was definitely a lot less chilly than it is now! 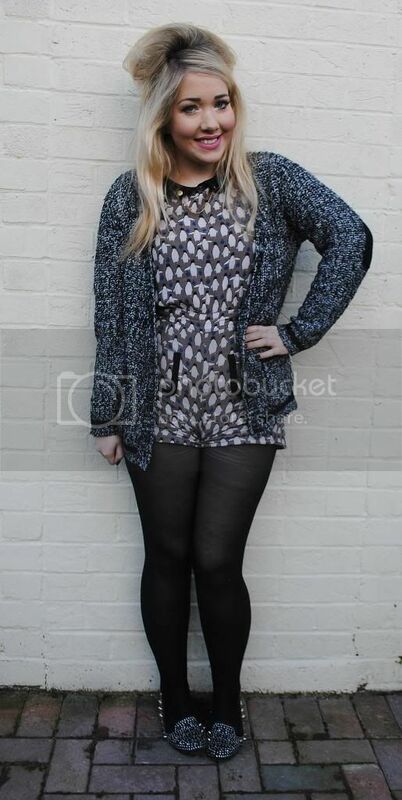 However, I think my Penguin-patterned playsuit fits nicely in with the wintry weather we've been having! 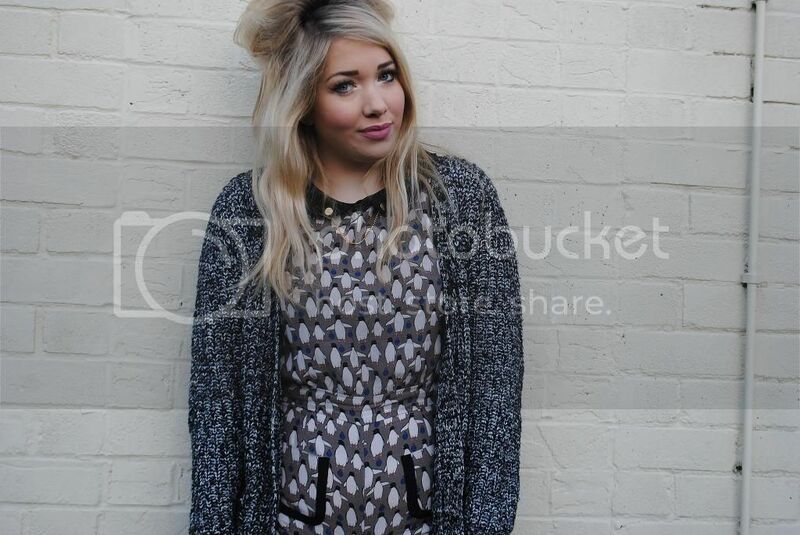 I got this playsuit from Primark a few months ago and I love it so much. 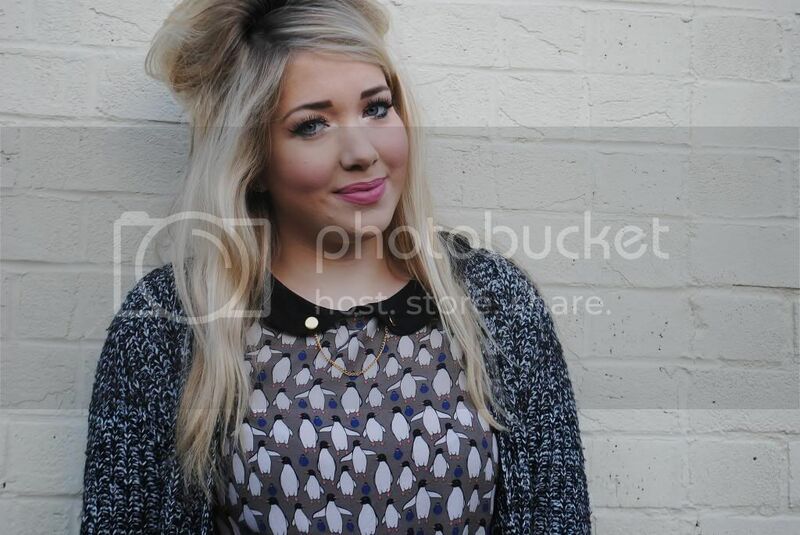 Such a cute print and a peter pan collar with gold detailing - what more could you ask for?! 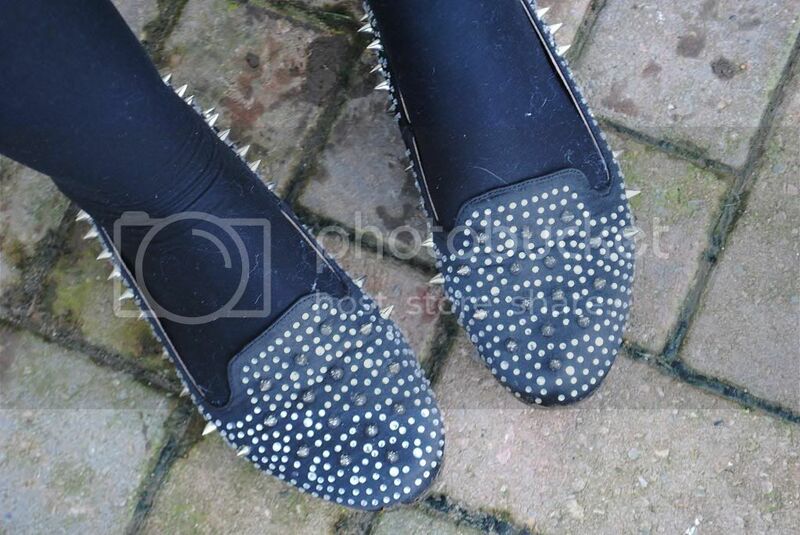 I wore it with my snuggly cardigan (also from Primark) which I really love, and my b-e-a-utfil spiky shoes from Shelikes.com. I was sent these a few months ago and I haven't stopped wearing them since. 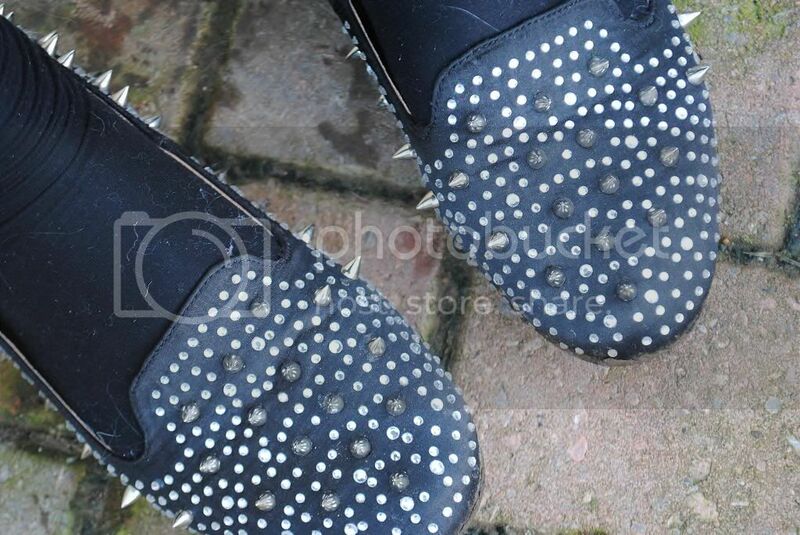 They're embellished with diamantes all over, and fierce silver spikes. I'd been wanting some like these for absolutely ages and for £30 you can't really grumble! I always get compliments on them, and they're really comfy too, which is always a bonus! I had a lovely weekend with my boyfriend. On Saturday we went shopping for the first time this year, and after some serious saving, I treated myself to a few bits. I got a gorgeous jumper from Miss Selfridge, some bits from Primark, and THE pinafore playsuit I've been after for ages. I went to Topshop fully prepared to spend the full £38 on it, when I saw it on the sale rail for a mere £18. I couldn't believe it! I'm hopefully going to be blogging about it soon, but I'm working everyday until Thursday so it's just getting round to taking pictures - it's so dark at the minute! I also filmed my second YouTube video a few days ago - this time on my skincare routine. I would love it if you could have a watch and like/subscribe and let me know what you think! I apologise for the lack of editing in it - I am not good with video editing! If anyone can suggest a decent editor, please do! Hope everyone is having a good start to the week, and keep safe in the snow!